Reading Maurice Bishop Speaks, now twenty-five years after his death, Bishop’s optimism is striking, just months and even days before he was killed, the revolution crashed and then the US invaded this small island nation. It’s heartbreaking. Fidel Castro’s words in the appendix are equally startling to read all these years later, when the level of political discourse here in the U.S. is so low that one seeks comedy send-ups for relief. There’s no comedy here, though, certainly not in this slim volume. It would be arrogant and wild to presume that I could depict the scope of heroism and tragedy that unfolded on that tiny island nation, one of the smallest countries in the world. I write fiction. 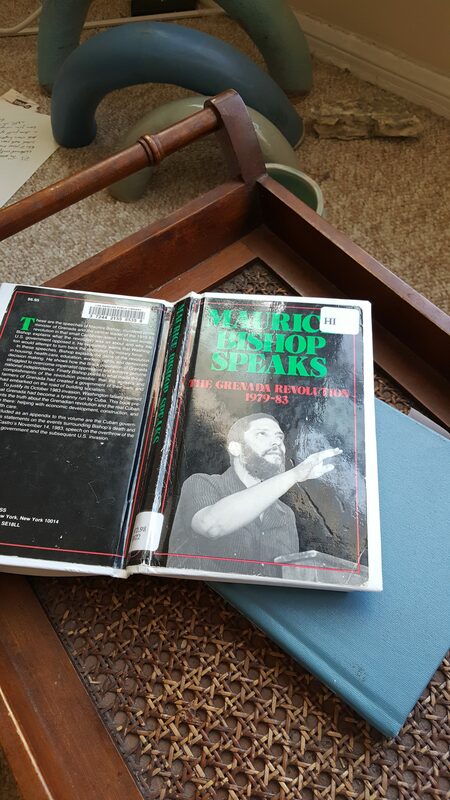 For history, I recommend the letters, speeches, and public records in Bishop Speaks; The Grenada Revolution 1979-83.